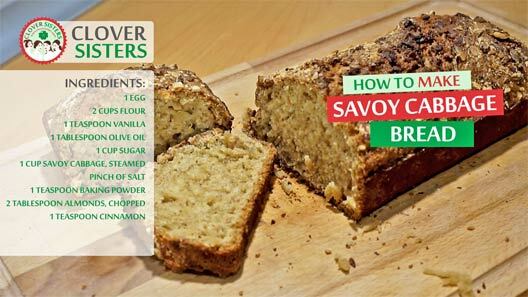 Savoy cabbage bread with a glass of milk or tea will make a whole breakfast, healthy and energizing. Try it, it’s not hard to do and here we have video to help in preparation. 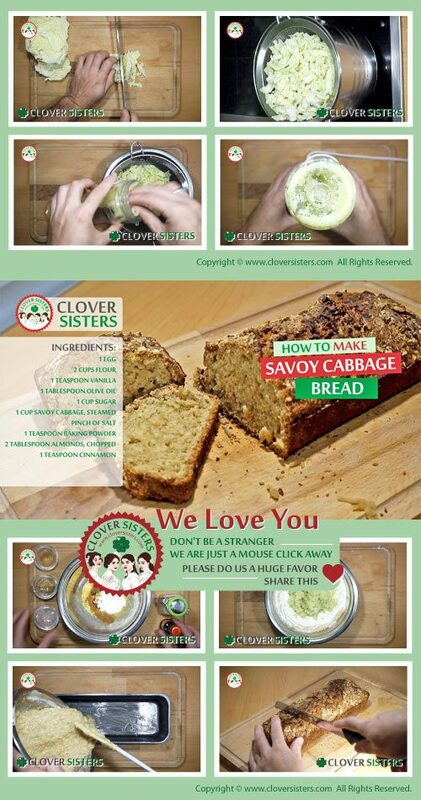 Steam savoy cabbage until tender. Mix together the egg, flour vanilla, olive oil sugar and pinch of salt, Add the steamed and chopped savoy cabbage, then baking powder and last but not the least, cinnamon and almonds. Fill the bread mold and bake in the oven preheated to 400F (200C) for about 40 minutes.